I know it’s winter for those of you in the northern hemisphere, but down here in Australia it is summer!! I love summer okay? The heat doesn’t bother me and I really enjoy having the free time. I know a lot of people enjoy reading light and fluffy books in summer but I’m actually the opposite. Considering I have the free time I really enjoy reading more dense books. I am getting a bit panicked by how I am going to reach my goodreads goal (because I really want to read 100 books in a year) so it’s nice to have this TBR to look a bit ahead of that. This list will mainly be books I plan to read in my summer holidays while I have more time, probably because I will be getting them for christmas. This book is a monster at over 1000 words and I have had it on my shelf for over 2 years and haven’t read it. I have been rereading the whole series to get ready to read this last book and I am currently still in the 4th book (this is the 7th) but I can’t wait to sit down in my hammock outside with this literal brick and just read it. 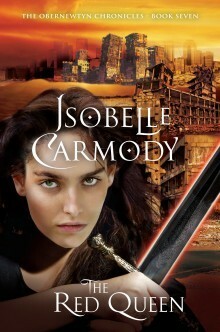 I have gotten into a habit of rereading the previous book in this series before reading the new one. 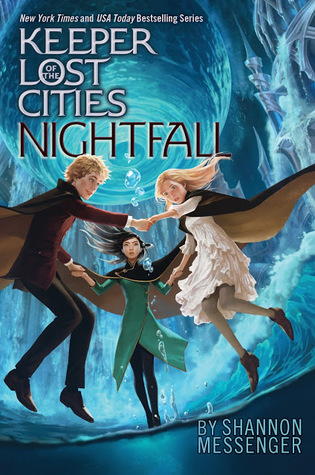 I haven’t had a chance to read Nightfall yet but it is right at the top of my summer TBR. There is something so summer for me about reading this series. I have gotten the new books for Christmas every year since the second book in the series came out and ahhh I am so excited. I don’t know whether the book after Nightfall will be the last one in the series but if so I will probably do a full reread at the end of next year. I read the first two books in this series last year at around this time and I think it’s about time I read this one! I plan to borrow it from either my school library or one of my friends. Either way I am excited to see how this story ends and what happens to the characters. From what I’ve seen and heard this is quite a large book with more parts of the world explored which I can’t wait to see. I haven’t read any of Mindy McGinnis’ novels but they sound very interesting and I have heard many people really enjoy them. This is the one I am most interested in and I have been wanting to read it for quite a while. I’ve struggled to find it in any local book shops so I am going to order it in online. For school I have to read Virginia Woolf’s Mrs Dalloway. Apparently it’s quite a thick read so I plan to get most of it done in the holidays. I don’t really know what it’s about so I am not super excited to read it, but I’m sure I will enjoy parts of it. 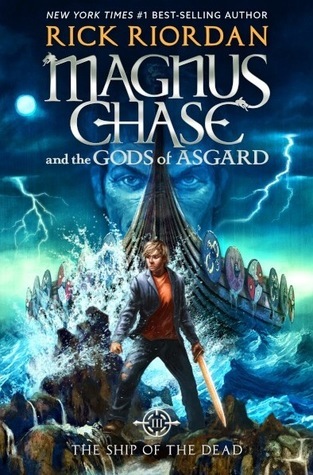 I almost always read Rick Riordan’s releases in the summer holidays. It’s just a thing I have done for the past few years, and I think a lot of it is due to them being the sort of books I can sit down one morning, be sucked into, and then finish that day. They’re light and cute and I find them very engaging which makes them perfect for long car rides or days of almost constant reading. I love this dystopian series, and I am super ready to read the third book. 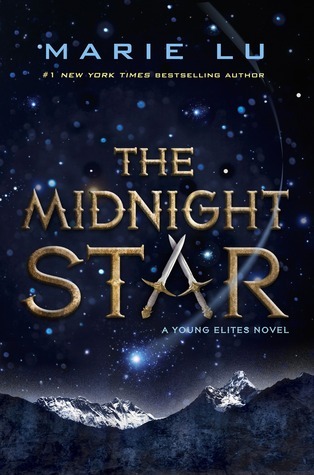 I have recently gotten back into dystopian novels and I have to say that the first book in this series blew me away. 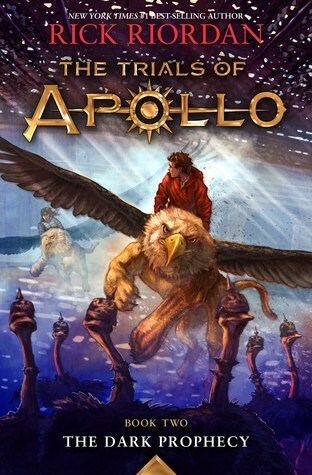 The second one also managed to be interesting and fast paced so I am excited to see how the trilogy concludes. It’s been a year and a half since I read the first two books in this trilogy and I really just need to finish it. Unfortunately I haven’t had the time yet, but that’s what the summer holidays are for! I feel like 2018 is going to be the year of rereads for me, so to kick that off I want to read the first two books in the illuminae files again. I remember really enjoying them, but it’s been around a year since I read Illuminae and six months since I read Gemina plus the last book in the series comes out early next year so I this it’s now the perfect time to reread these. To continue the rereads theme, I want to reread the whole of Red Rising in preparation for Iron Gold coming out next year. I couldn’t be bothered to put photos of the whole trilogy up there because who can be bothered to do that?? 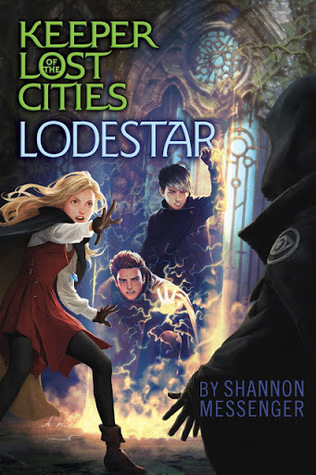 (husssssh I’m tired) but I really want to reread this series. I loved it, but it’s been forever since I read the first one. What books do you want to read in the winter? (*cough* summer *cough*) // Do you plan to reread any books in 2018? You’re so lucky you don’t feel the summer heat, the sun is killing me right now! I haven’t been very caught up with Rick Riordan’s novels either, I haven’t read The Dark Prophecy or The Hammer of Thor. I know they will be great as usual but I still haven’t gotten to them. I hope you reach your GR goal! Yeah I’m pretty lucky that the heat doesn’t bother me! And Rick Riordan’s novels are always great but another reason I read them in the holidays is because I sometimes feel weird carrying them around? You know? These all look great! I am trying to hit a higher GR goal this year, too. And I am jealous…it is just getting colder here :( I wish it was summer lol! Good luck on reaching your GR goal! I know I won’t be able to read a lot next year so I really want to reach my high goal. I have so many books I want to read so fingers crossed! Ooh these do look like fantastic reads to get stuck into! I hope you enjoy these books when you do get around to them. Enjoy the sun! I loved it so hopefully you will too! I wish it was Summer here as well.. I seriously HATE the cold; can’t help it. Hate snow. Can’t help it. Hope you love ACOWAR! Although ACOMAF is still my favorite – Rhysand, doh. People have been recommending me the Red Rising trilogy but haven’t gotten my hands on it yet. I’ll have to look into it since it’s starting to pop up on a lot of places apparently, haha. Ahh I hate the cold too, it isn’t too bad for a while but it just goes on forever. 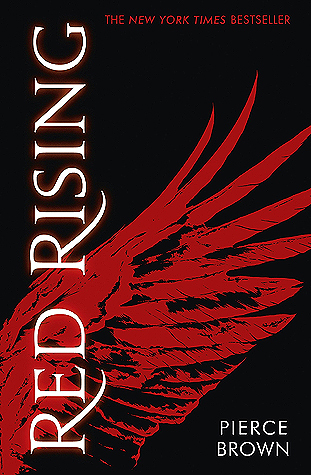 You should totally try Red Rising, I really enjoyed it. 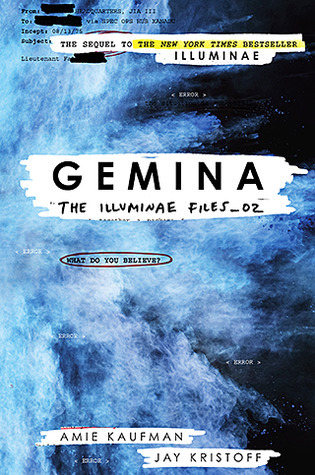 I agree with you about Illuminae and Gemini, they are a lot easier to get through than you’d expect. I also plan to reread The Raven Cycle next year, I just love that series. I read part of Mrs. Dalloway once, but I never finished it. I hope you like it. Your post makes me think I should give it another shot. I hope I can enjoy it too, there’s nothing worse than reading a book for school and hating every second of it. 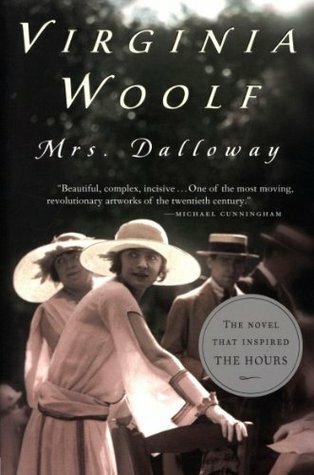 I`ve read Mrs Dalloway in high-school and I can`t say that I was a big fan. But my reading tastes have changed a lot over the years and I might enjoy it more now. 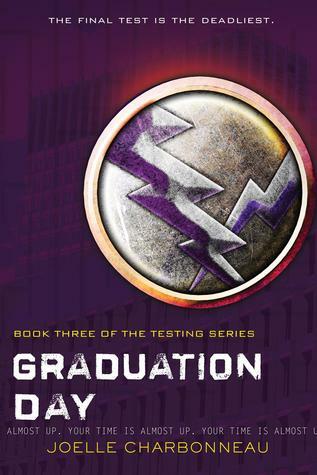 Graduation Day looks fun (I still love dystopia) and Illuminae/ Gemina- oh my gosh Illuminae was good but I LOVED Gemina. Hope you do too!! You’d love the weather in the Phoenix, Arizona, area where I live. It’s still super hot. Personally, I have a hard time with the constant heat, so I’m hoping and praying for cooler weather. I’m SO done with the dang sun. Ha ha. I hope you get a chance to read all these! 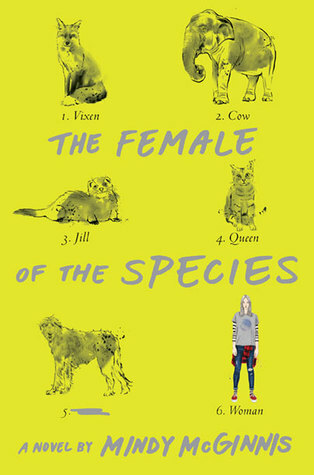 The Female of the Species is on my TBR list, too. Happy summer! So many great books! I hope you enjoy all of those you get to. 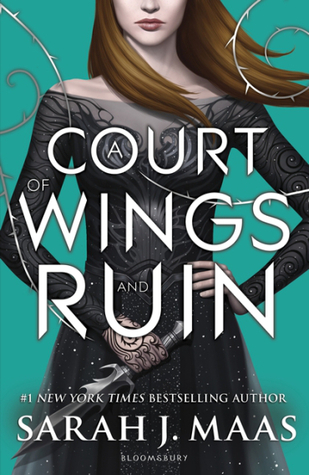 My personal favourite on this list is A Court of Wings and Ruin–I adored it! Enjoy, enjoy, enjoy. 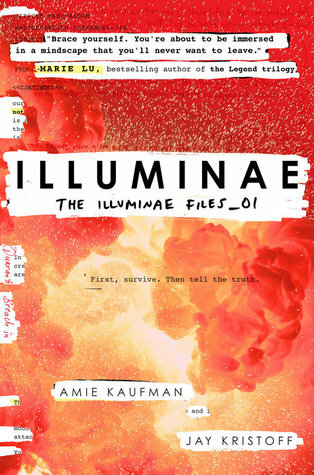 I loved illuminae! I found it really fast paced and different. Oh, I’m jealous that you’re in summer time. Honestly, I could skip straight from autumn to spring. Just not a winter gal. And ACOWAR is pretty epic. Hope you love it. I feel the same way, the cold really isn’t for me. I loved Illuminae so you should try to get to it soon!